It was bound to happen sooner or later. I have enjoyed my reign as the ultimate fix-it person in our household. But a few days ago, I was defeated. I had to admit to the Big One that mommy couldn’t fix something. The object that beat me? 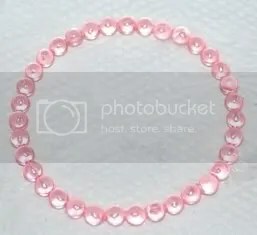 This little cheap-o pink bracelet. The Big One received it in a “goody bag” at our neighbor’s birthday party. I swear the thing broke as soon as she touched it. Devastated, she cried real tears and was very sad for about three minutes at the birthday party. She soon got over it and I hoped would forget all about it. She’s 3, she doesn’t forget anything. So as soon as her eyes opened the morning after the party she asked me to fix it. I tried in vain to get the Super Glue to bond to the plastic material. What happened? Well I broke it further. You see the Big One had broken it into two pieces. 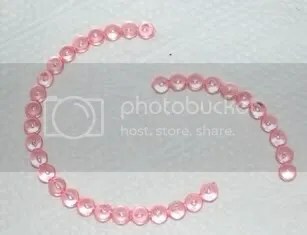 In trying to fix it, I broke it into three pieces. It was useless, so we thought. I had a brief moment when it seemed the glue was finally taking and I got a little bit excited. So I just left it to sit for a while. After 15 minutes or so (an eternity to a 3 year-old) I gently picked up the bracelet. And it immediately snapped back into three pieces. Not one to admit that I was not able to fix it, instead I promised the Big One I would make her an even better bracelet to replace this one. So off we went to Joanne’s to let her pick out whatever color she wanted. She, of course, picked blue, it is after all her favorite color. 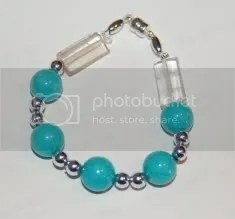 And now we have this bracelet to wear instead. So while the FixItMommy was not able to fix the original bracelet, I was able to fix the Big One’s spirit with the new bracelet. That’s still counts as fixing the thing right? ← Murphy’s Law or Scientific Fact?